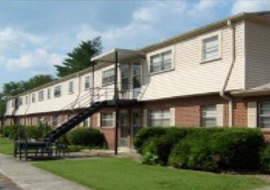 Mayberry Apartments are the premier apartment community in Mount Airy, NC. If you are looking for quality apartment living in Mount Airy, this is the place for you. Select apartment homes feature private entrances. Please call our leasing office at 336-480-2330 to schedule an appointment to see this property ahead of time.